Ever since the SP500 broke down from a 7-month range on 8/20/15, it has become very volatile. 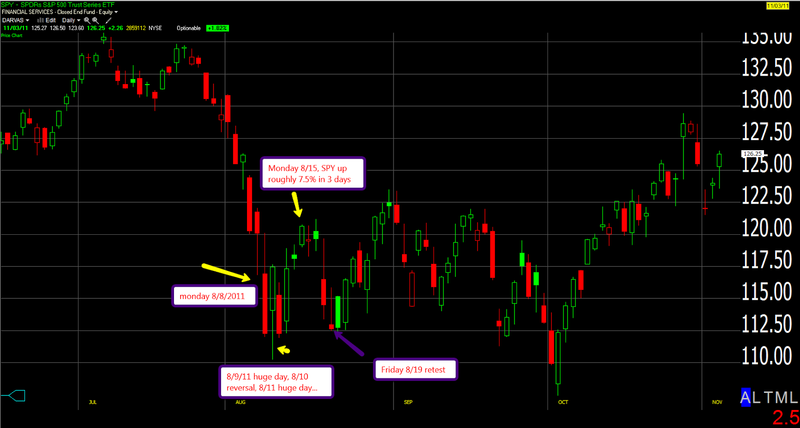 We have seen huge down days, followed by huge up days. 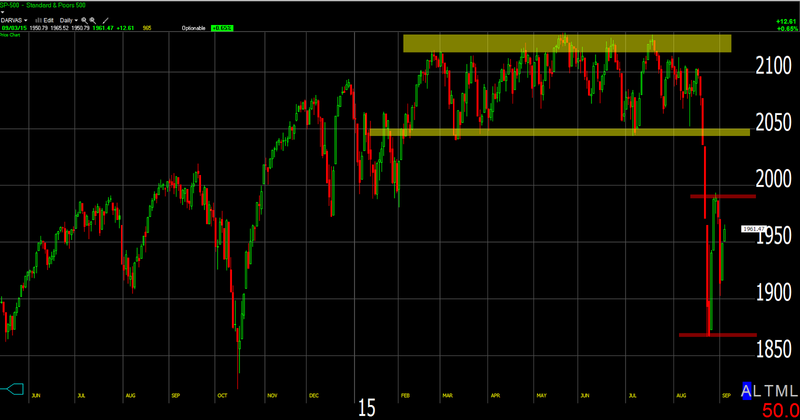 This all comes after one tightest six month ranges in the history of the SP500. I still believe that the current situation is similar to the summer of 2011, which we have mentioned numerous times, initially on 8/24/15. In the summer of 2011 the SP500 hit its first low in August, it whipsawed back and forth for two months before it ultimately bottomed in October. In this environment, one must avoid chasing rips after multiple up days and avoid selling into big down days.